Canadian actor Brett Dier, 26, visited Angel this week. 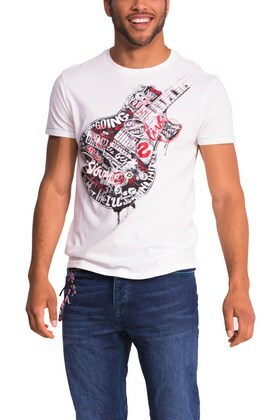 He was with a young woman who showed him a Desigual guitar T-shirt. “You love guitars,” she said to him. “I love turtles,” he replied. We started chatting and I found out Brett was a Canadian actor living in Los Angeles. He said it was great to return to Canada and see the country from a fresh perspective. I asked him if he had any big roles recently. “I’m the husband of Jane the Virgin,” he said. “Jane got married?” I asked, having watched the show but missed the wedding. Jane the Virgin is a comedy/drama TV series based on a Venezuela telenovela Juana la Virgen. Jane is played by Gina Rodriguez, a young Catholic woman who is accidentally artificially inseminated during a mix-up examination by her doctor. Brett plays police detective Michael Cordero. ……………………………………………………………………………………………………………………………………………. Angel has Desigual for kids at 20% off, 30% off Desigual for women from previous seasons, & 50% off Desigual for men from previous seasons. Our clearance rack also includes Spanish brands: Smash! & Compañía Fantástica. 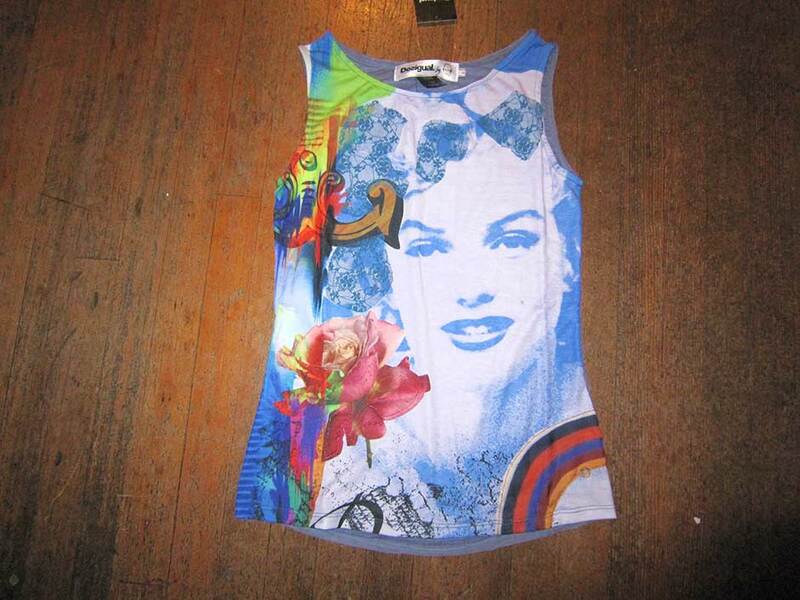 We also have Desigual shoes, sandals and flipflops. This entry was posted in Desigual for men, Uncategorized and tagged Canadian actor Brett Dier drops into Angel, Gina Rodriguez and Jane the Virgin TV show, La Vida es un Carnaval by Celia Cruz has Desigual in the lyrics. Bookmark the permalink.